Baily has brought out all that was set and dignified in his distinguished sitter, reminding us that Wilkins was a deeply scholarly man who was an antiquary as well as an architect. He was to be elected Professor of Architecture at the Royal Academy in 1836. 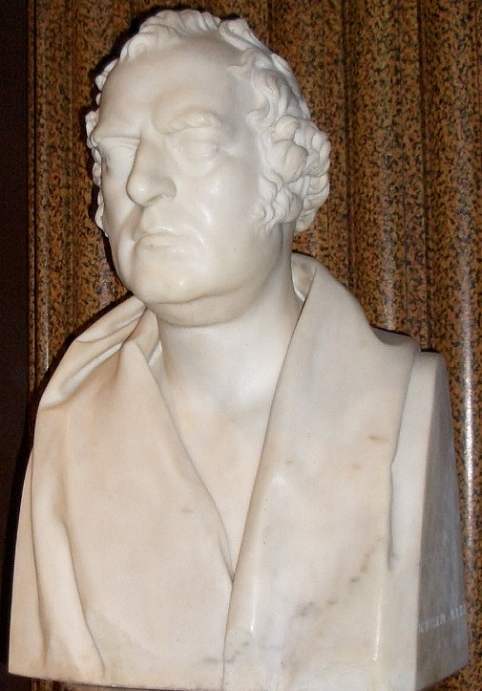 From the side, however, the likeness tells a slightly different story: Wilkins appears more thoughtful and kindly, his head inclined somewhat as if listening to someone. R. Windsor Liscombe confirms this "reading" of the sculpture when he relays comments from Wilkins's obituaries on the sitter's "gregarious, amiable, and inoffensively ambitious personality, matched by a commanding stature and bluff good looks." Liscombe, R. W. "William Wilkins (1778-1839)" The Oxford Dictionary of National Biography. Online ed. Viewed 4 July 2008. Speel, Bob. "William Wilkins (1788-1839)." Viewed 4 July 2008.